October is Breast Cancer Awareness Month, which is an annual campaign to increase awareness of the disease. Though most people are aware of breast cancer, many do not take the steps to detect the disease in its early stages and encourage others to do the same. 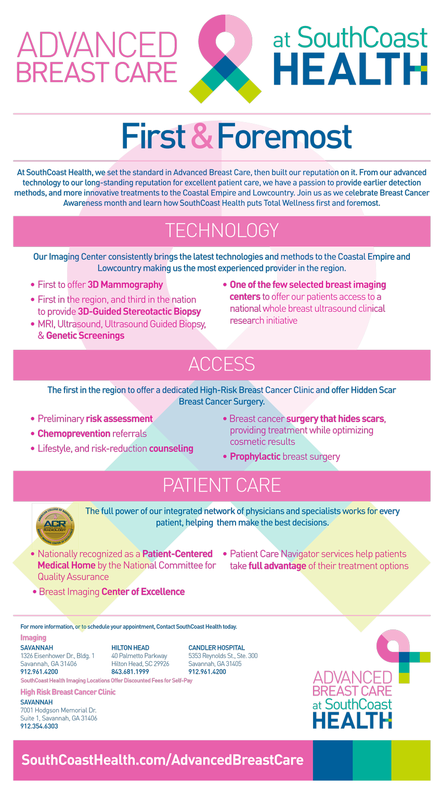 At SouthCoast Health, we are proud to help promote breast cancer awareness and set the standard for breast care in the Coastal Empire and Lowcountry. Learn more about what makes us the first and foremost choice in the region for technology, access, and patient care below!